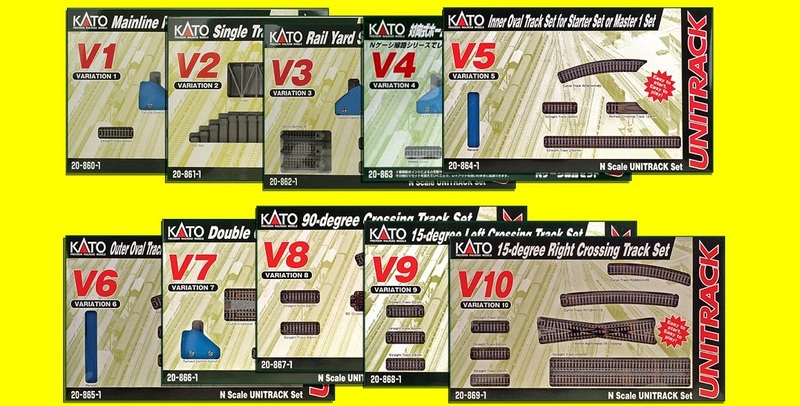 The Kato UNITRACK Master (M) and Variation (V) sets are the ultimate expansion track sets, perfect for beginners who are looking to get started in the hobby, while also providing complex structures for those seeking to create more complex and advanced layouts! Starting with the base Master Set, you can expand to create any layout you desire by adding as many Variation sets or individual unitrack pieces as you like! Each Variation set box contains a complete layout landmark, whether it's a staging yard, a passing siding, or a flyover viaduct bridge. Gaugemaster GM118 Granite Balast Blend 200gm. Kato V11 20-870 Variation Double Track Set With Banked Curves & Concrete Sleepers.